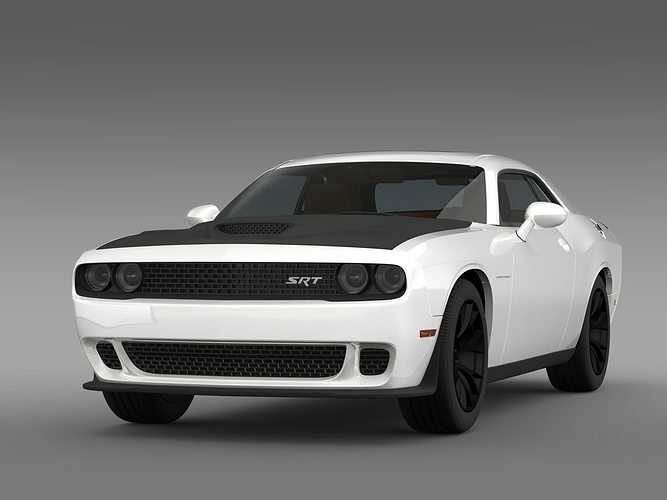 Let me represent you high poly 3d model of Dodge Challenger SRT Helllcat Supercharged LC 2015 with high detail. Dodge Challenger - a cult car manufactured by Dodge, owned concern Chrysler Corporation. Was designed to compete with cars such as the Chevrolet Camaro, Ford Mustang, Mercury Cougar and Pontiac Firebird. The model is created in real size. This model is created in Autodesk Maya 2012, visualization (rendering) - Mental Ray. If necessary, the product is easy to change or modify. Autodesk Maya mb file contains all the Mental Ray materials and render setup. Other format without Mental Ray materials. The model is suitable for extream high quality render. Includes formats: .mb, .obj, .fbx, .3ds, .max, .lwo, .xsi, .c4d.